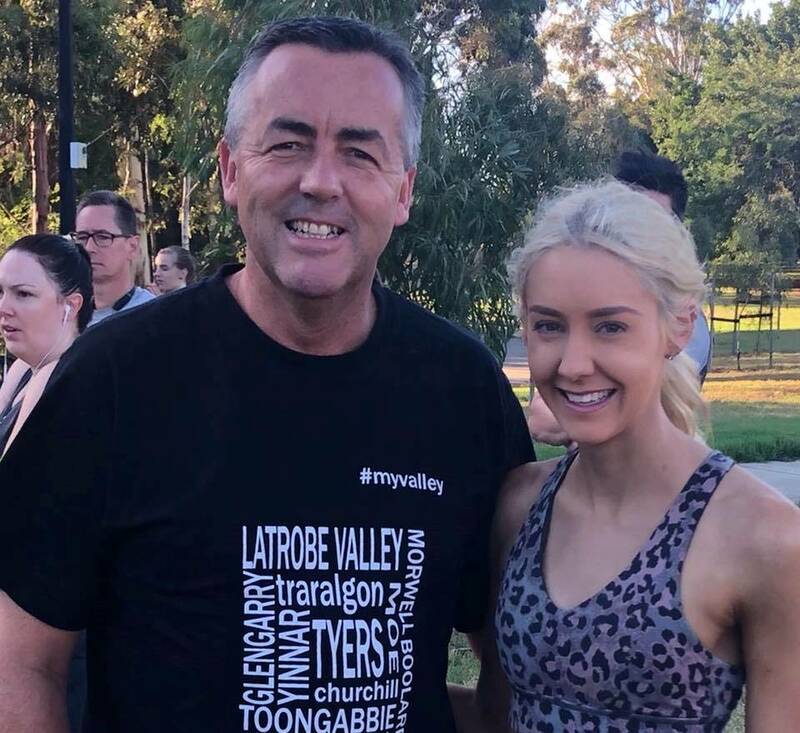 Federal Member for Gippsland Darren Chester met up with runner Courtney Wallace-Smith at the starting line for last Saturday’s parkrun in Traralgon. Hundreds of people across Gippsland pull on their running shoes each Saturday morning to get active, have fun and run or walk five kilometres against the clock at a parkrun Australia event. Among the starters, you’ll often find the Federal Member for Gippsland Darren Chester, who’s among the half a million Australians registered with parkrun. Mr Chester this week welcomed $1.8 million of Commonwealth funding for parkrun Australia, one of 27 organisations to share $22.9 million under the Federal Government’s Better Ageing Grant Program. “I am an active supporter of parkrun and join in whenever I can. If I’m away from home, I’ll often look up the location of the nearest event and get down there,” Mr Chester said. “Parkrun events promote active fun and fitness and a chance to connect with other people, which is just as important for your well-being as physical activity. “The Federal Government money is being provided to parkrun Australia for its Generations Project. The project is designed to link older Australians with a weekly parkrun community event where they can run, walk, volunteer and socialise with people of all ages. In Gippsland, runners and walkers can join in at locations including Lakes Entrance, Bairnsdale, Sale, Traralgon and Churchill. The Minister for Sport, Senator Bridget McKenzie, announced the successful applicants to the Better Ageing Grant Program. Minister McKenzie said grant program was an important step in helping older Australians to get the most out of their senior years. “As outlined in the Government’s National Sport Plan – Sport 2030, no matter what your age and no matter what your stage, we’re encouraging all Australians to embrace the philosophy of ‘Movement for Life’,” Ms McKenzie said. Parkrun Australia chief executive Tim Oberg said the $1,838,000 investment would help parkrun engage directly with even more older Australians, their families and the people closest to them. Currently, only 25 per cent of Australians over 65 meet the Department of Health physical activity guidelines of 30 minutes activity per day. Other organisations to receive funding under the Better Ageing Grant Program include Arthritis Foundation of Australia, Basketball Australia, Bowls Australia, Surf Life Saving Australia, Royal Flying Doctor Service of Australia and Football Federation Australia.